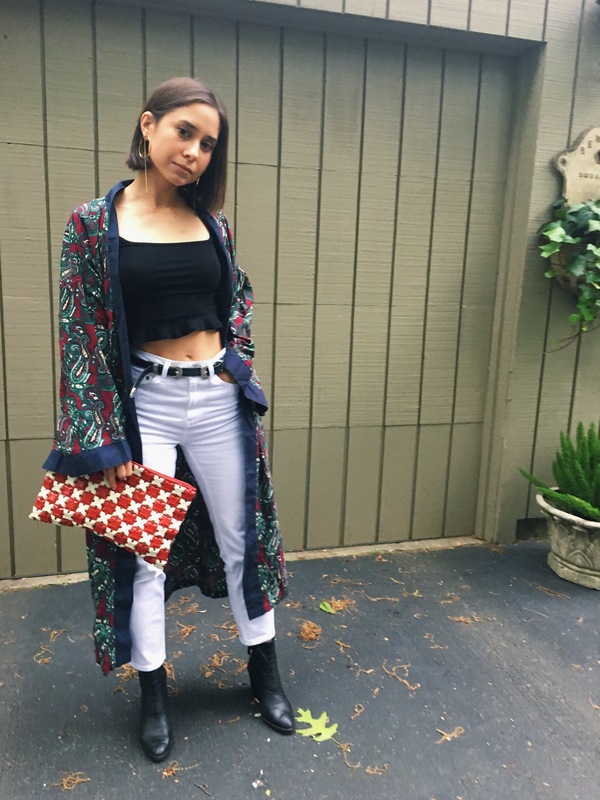 Kimono jackets are tricky to wear without looking like you're about to prance off to Lollapalooza, or without feeling like you wore your pjs out of the house. They can feel especially intimidating to pull off when you're a petite woman. 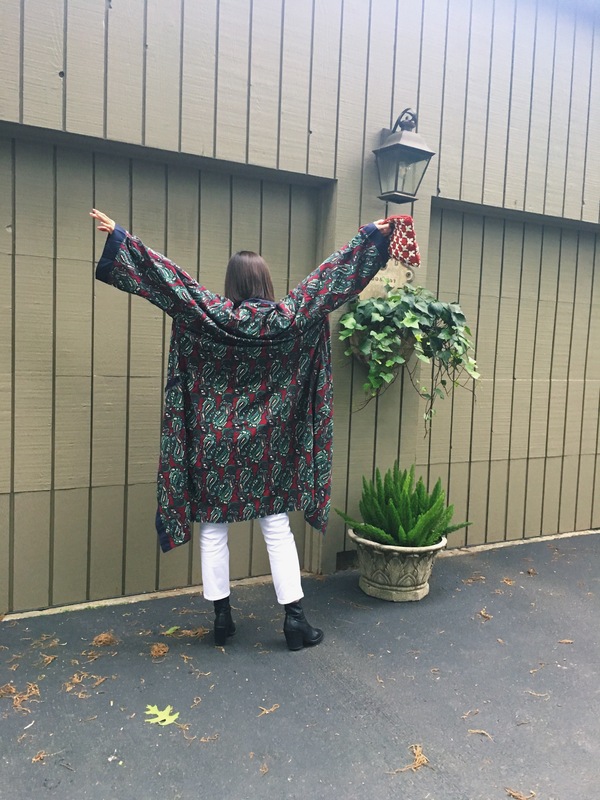 My friend Lucy opened up a fantastic online vintage shop, Hood Hippie Vintage, and I've been wearing the heck out of this kimono from her shop since I got it. Read more about the store and learn some thrift shopping tips and tricks here. 1. Keep the rest of your outfit streamlined. 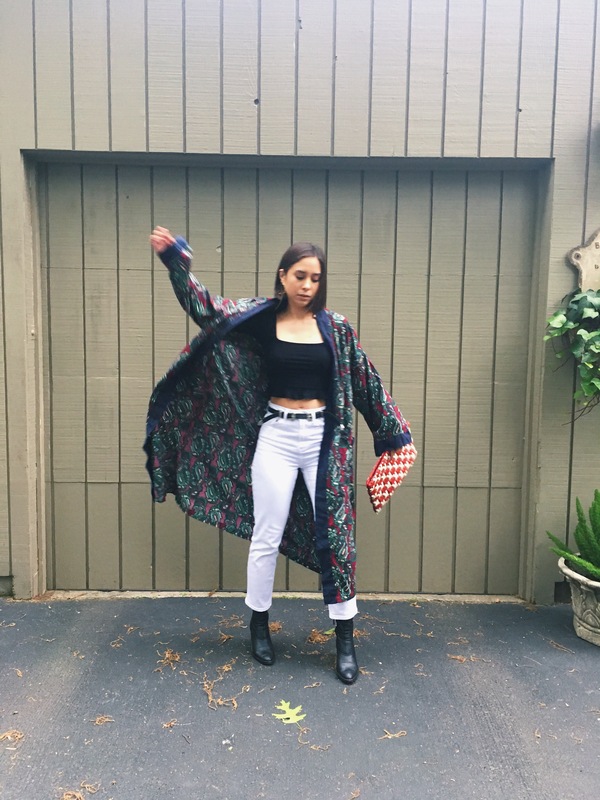 Kimonos are voluminous by nature, so to keep from looking like you're drowning in fabric, make sure you're wearing something fitted underneath. 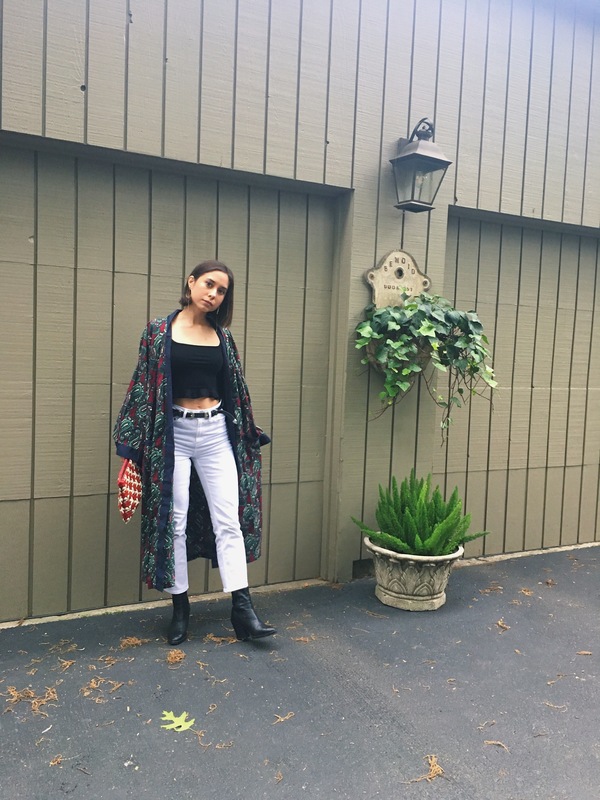 I was going for a more casual vibe, so I opted for simple jeans and a black top. Tailored trousers and a white t-shirt would work just as well. 2. 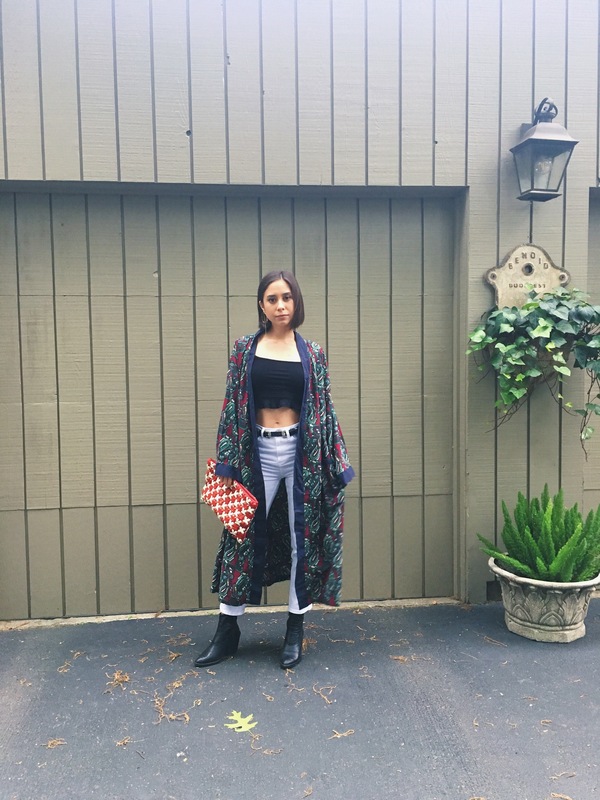 Dress to elongate your body. 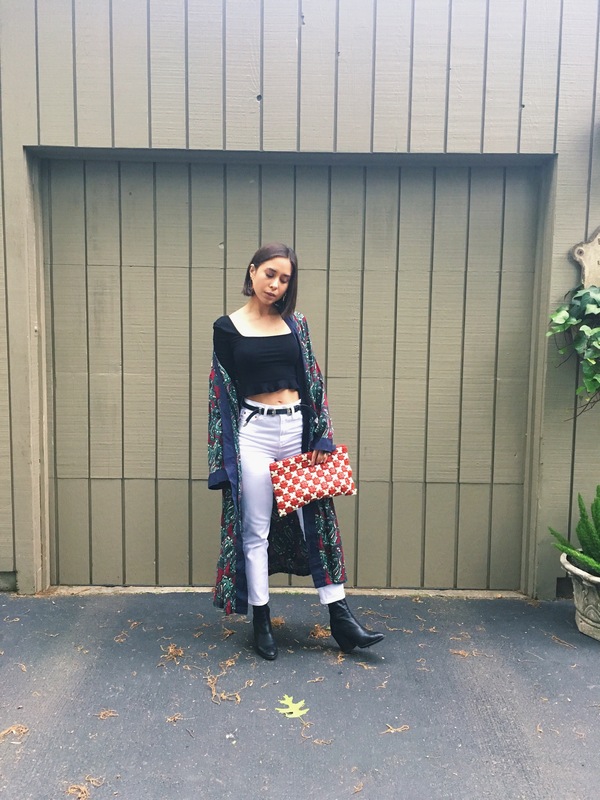 High-waisted jeans are a short girl's friend because they lengthen the leg. 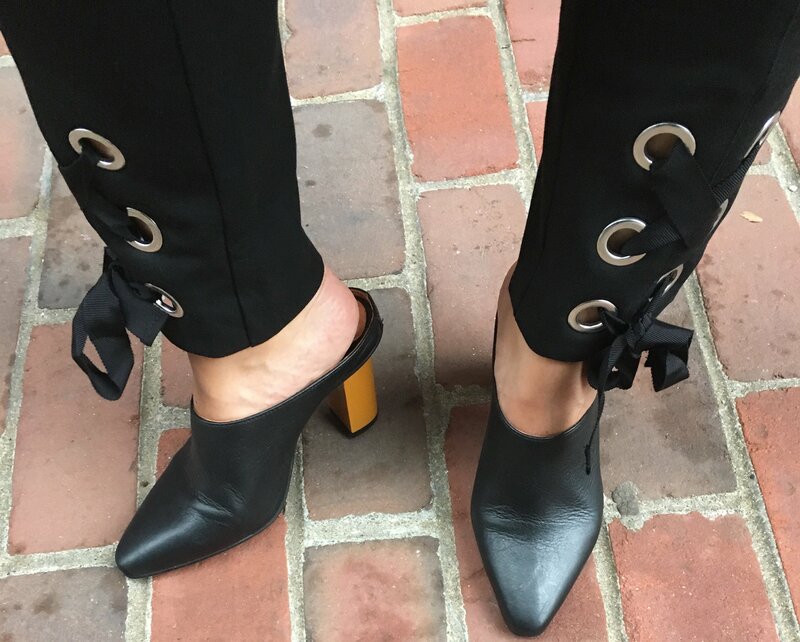 Wearing slim ankle boots that hide any ankle and have a small heel help maintain an unbroken vertical line. 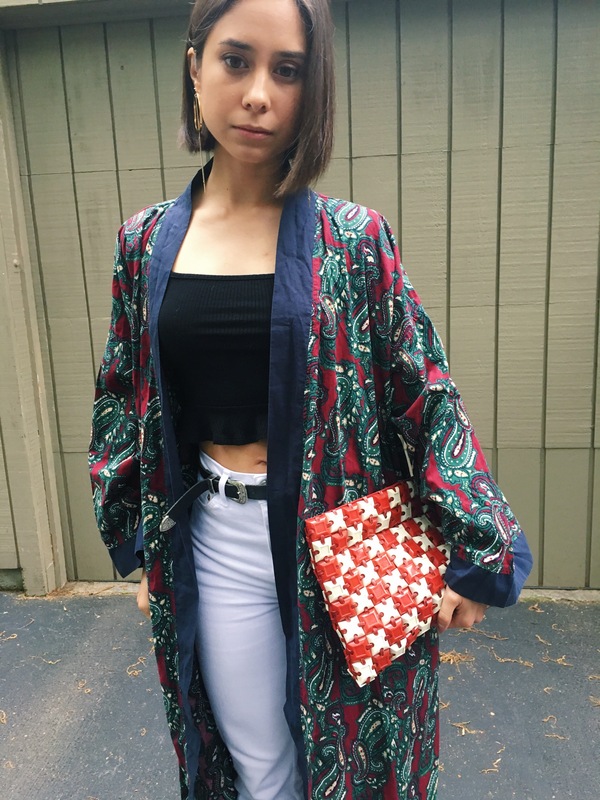 The kimono is the star of the show here, so any additional accessories should complement, but not compete with it. 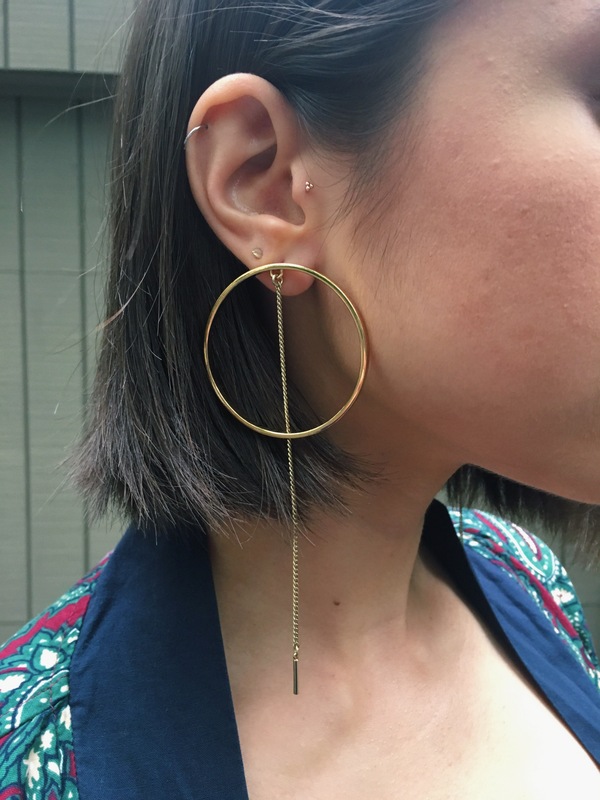 My hoop earrings had long chains that helped play up the vertical length I was trying to achieve. 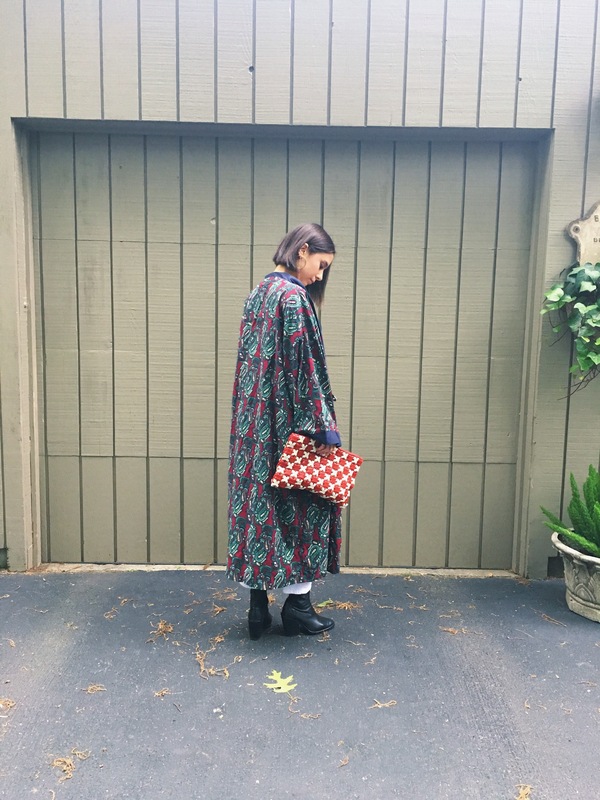 I chose a simple double-buckle belt to play up the Western vibe of my boots, and a vintage plastic tile clutch to bring out the red in the kimono. And as a treat for That Time I Wore readers, my friend Lucy is offering 15% off all purchases from Hood Hippie Vintage. Enter code BLOGLOVE15 at checkout!